At Charles Lowe & Sons we produce outstanding oak floors, looking and feeling like beautiful and faithfully cared-for originals. Fully compatible with 21st century life, and comforts like underfloor heating, but with none of the extra work, research, uncertainties and fitting costs associated with reclaimed flooring. 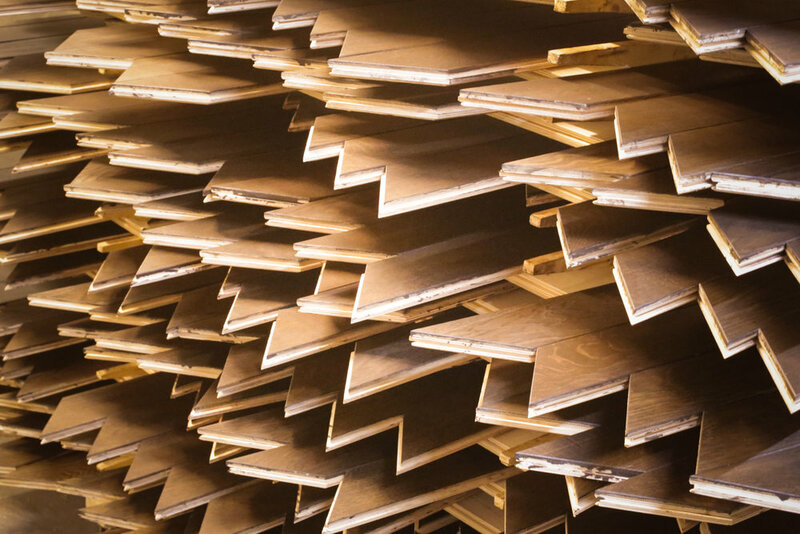 No one hand planes oak flooring the way we do. The razor-sharp plane in skilled hands slices the timber incredibly finely and cleanly, removing the unwanted factory-flat deadness. It produces a surface that is inimitable; silky, organic and alive with iridescence. 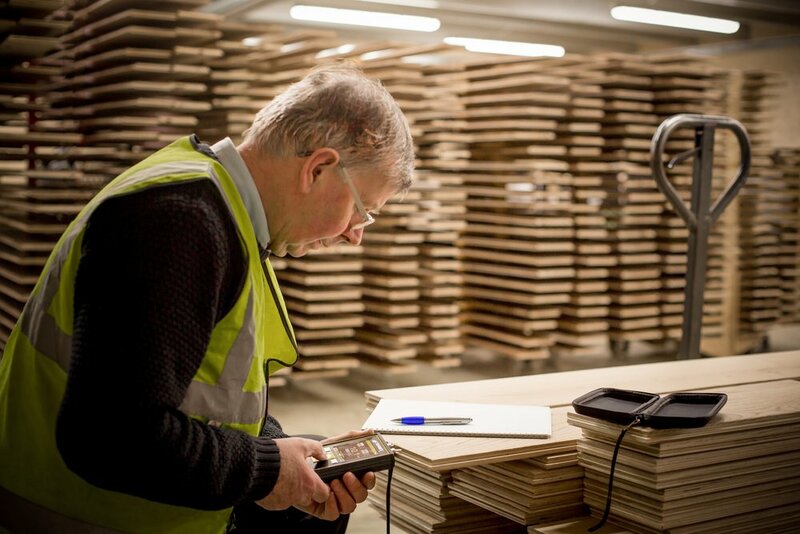 Our craftsman can “read” the grain pattern, touch and feel their way along every board. They trust their instincts, and guide the tool how the oak itself suggests. 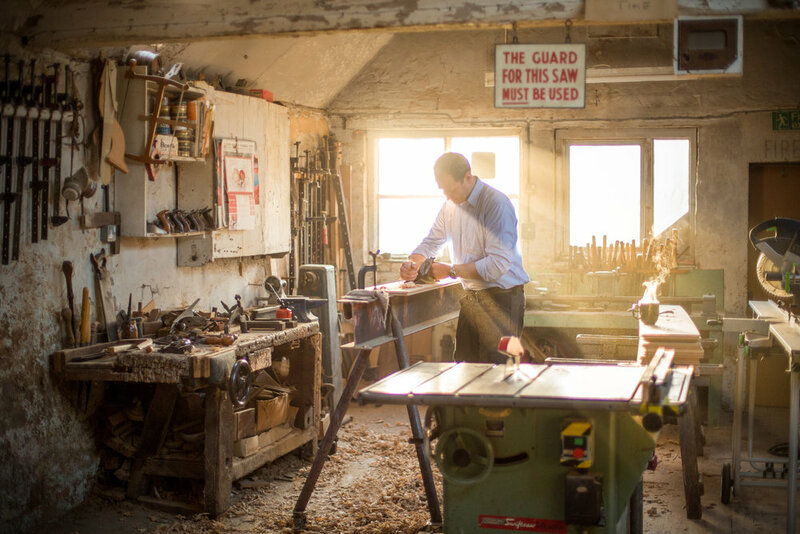 It’s an art passed down through seven generations and a long, long history of fine English cabinet making and antique restoration. The artisan is only as good as his tools. Caring for them is a large and vital part of his expertise. Throughout the day the plane is regularly dismantled, the iron is precisely ground by eye, and finely honed on a leather strop until it is sharp enough to remove hairs from the back of the hand. The plane is then reassembled, set up and intricately tuned until it will glide over the surface of the timber, ejecting a plume of translucent shavings with a satisfying hiss. To help emphasise the superb width of each oak floorboard, the edges are eased with a spoke shave, again by hand, leaving an uneven and slightly broken edge. Using special tools and techniques handed down by word of mouth through generations of craftsmen, the timber is aged and carefully distressed to simulate the passing of millions of feet and years of wear and care. The prepared oak floor boards then go through a series of stages, which allow our unique blend of earth pigments, oils and waxes to be absorbed. They are then laboriously rubbed in and buffed to a mellow, welcoming glow. This is the rich, deep, patina that is the inimitable hallmark of all our work. We reveal and accentuate the hidden beauty lying within the noble oak tree, revealing the fullest natural beauty within. 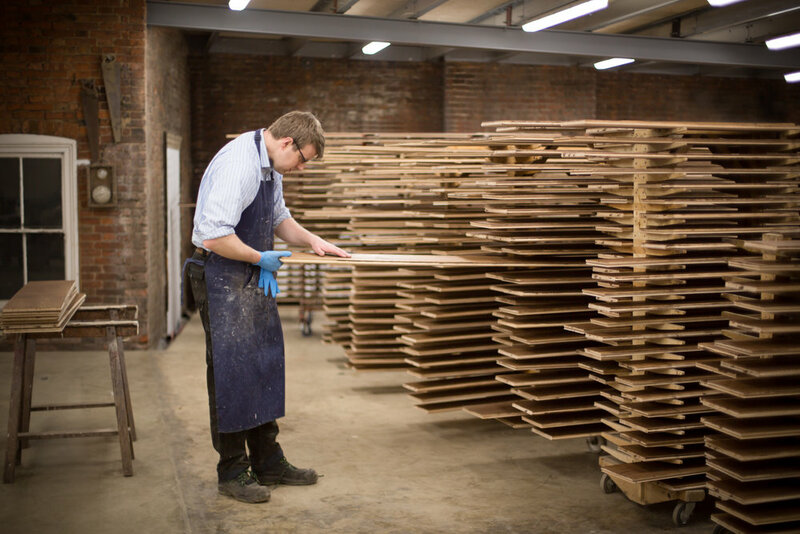 Hard work and labour elegantly replicate the time-honoured, cared-for character of vintage oak floor boards. They will be completely at home in your property, as if they had always been there, like a beautiful original. perfected in confident, trusted, and deeply understanding hands.